Ceriatone's Custom built tribute to the Fender 5E3 Tweed boutique guitar amp has captured the spirit and soul of the original. 15 watts of pure Class A power. 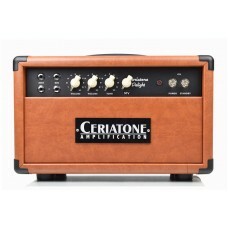 Ceriatone's Custom built tribute to the Fender 5E3 Tweed boutique guitar amp has captured the s..